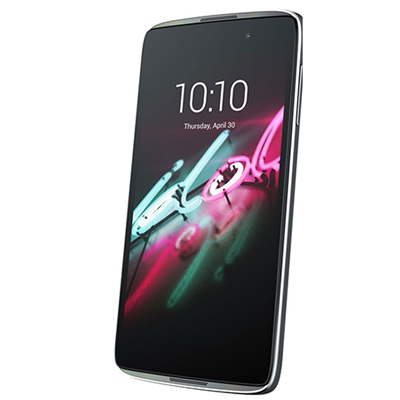 The Alcatel Idol 3 comes with a 5.5 inch Full HD display which is fully laminated. The bright IPS LCD screen has a resolution of 1080 x 1920 pixels with a 400 ppi pixel density with great viewing angles even in direct sunlight. The device incorporates Colour Enhance technology which improves contrast and provides vivid colours to the screen. 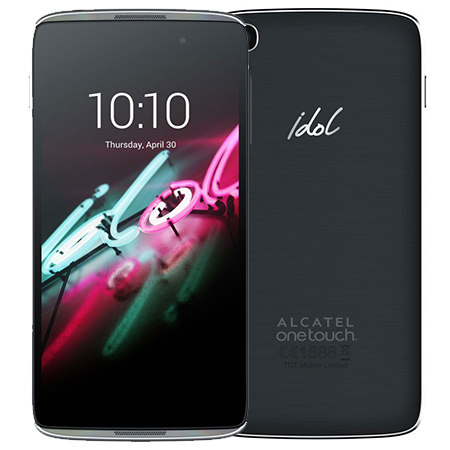 The Alcatel idol 3 comes with a 13 megapixel Sony IMX214 camera with LED flash together with a 2.0 lens featuring Fast Face Focus. There’s a high resolution 8 megapixel front facing camera which produces sharp selfies and with its wide angle lens gets more friends into the picture. The device features Electronic Image Stabilisation so you can always be sure of a clear, sharp shot even when on the move. The elegant Idol 3 is fully reversible, use it either way up to make or receive calls. With its curved, sleek corners and slim frame, the Idol 3 features a matte back panel with silver plastic edging. Above and below the screen are the JBL front-facing audio speakers which provide superb sound quality. With 4G LTE connectivity and a 2910mAh battery providing up to 13 hours of talk time (2G), the Idol 3 runs Android 5.0.2 Lollipop. Powered by a Qualcomm 64-bit octa-core Snapdragon CPU with 2GB RAM, the device comes with 16GB of storage and has the benefit of a microSD card slot. The Idol 3 has Wi-Fi connectivity together with Bluetooth and NFC.